GOGO is Zulu for Grandmother! 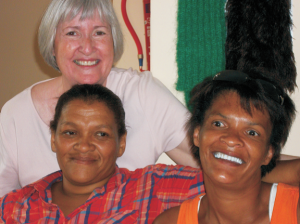 A program of LoveLight, this grassroots initiative is designed to connect, serve and give voice to grandmothers globally to assist them in their unending caring for the at-risk children. LoveLight offers supplies, support and trainings like Healing Touch and permaculture gardening. LoveLight provides Leadership Development camps for older youth, day camps and support for care-givers. We provide assistance for a Children’s Sanctuary which provides a safe home base for at-risk children. Above all, we are building a unified family based on mutual trust and respect.